Franco Armani playing for Argentina. 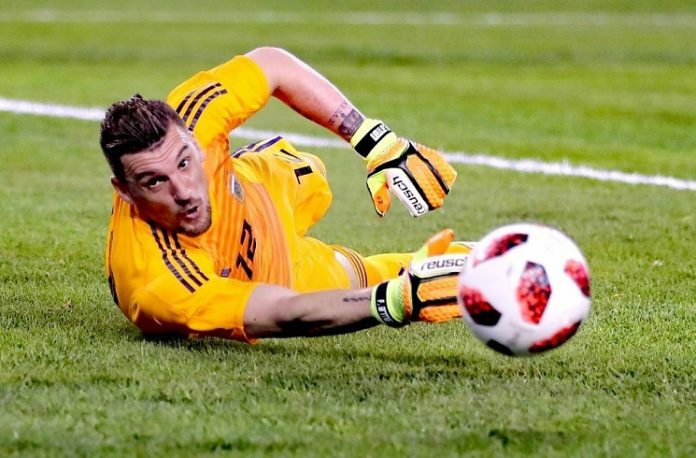 River Plate’s Franco ARMANI may have cemented a spot with the Argentina National Team during his country’s friendly match against Colombia. I want see more of u-20 goalkeeper portau , he impressed me a lot. The kid has got amazing reflexes. 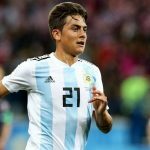 The problem with argentina is they call up players too late , young players should be called up as soon as possible , the more they gain international exposure at young age , the more they mature and improve their game and learn how to handle pressure at big stages. People will always tell that the kid is not ready , no one is ever ready , you have ro play to be ready . 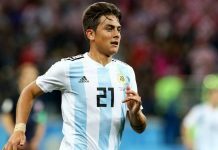 “The problem with argentina is they call up players too late , young players should be called up as soon as possible , the more they gain international exposure at young age , the more they mature and improve their game and learn how to handle pressure at big stages”. I try to express that from some time. Also: the sooner they will called up to NT the sooner they will going to Europe being more attractive. 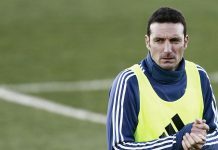 River clause for Palacios is already increasing to 30 mln. 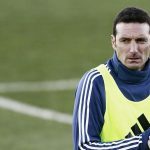 Gonzalo : I said the same thing back on another comment that it’s only a matter of time before real and barca starts barking about palacios . I would like if he does not go to a big club. at least not now, he is still 19 and most likely they will loan him out to a smaller club or keep him a bench warmer for couple of seasons. these guys are only looking for good deals hoping players value go up in price. Mo SALAH was missing in action for 2 seasons when he moved to Chelsea when he was younger. He noticed that. There’s more enthusiasm and balance. Watching the matches it was so clear seen. Playing again and again with the same players on we lost one of most important things to succeed – passion, enthusiasm. Plus the balance. It’s not only you who see this. At last we saw the River Plate mode Armani against Columbia, if he can consistently show that we don’t want anyone else till 2022. It’s beast mode. His distribution is bad but he won’t concede easily. That’s what Goal keepers r for. Goal keepers don’t have to be deep lying playmaker I guess. Any way Armani won’t start again for us, So we don’t get to see the Beast mode too. True armani was great against columbia but romero always performed for argentina under pressure in big matches but armani failed in that situation and Armani is very poor in penalties so in big tourament we need a good penalty stopper. im not impressed by armani. true he can save 1 vs 1 situations but he is like a wall wich bounce the ball back in to the game. havent seen him keeping the ball even in highlights video. Romero is noway a penalty specialist,Just becoz he did great again Holland won’t make him one, where was he against Chile in 2 Copas, (he did save 1 or 2 I guess but still we lost both) didn’t he got thrashed against Germany 4-1, had he continued against Spain he also would have conceded 4 or more. Caballero is the real penalty specialist we had. Well we know what his other goalkeeping attributes are which is poor. Same with Armani he is not great in penalties or in ball distribution. But he don’t concede easily somehow which may not be eye pleasing,but he don’t concede easily once he gets the rhythm. Sick of hailing Romero as World class which he noway isss. He was just lucky and average always, becoz of adamant coaches didn’t really care about trying different guys. He is not the best Argentine GK we have right now. It is Armani. It is. Please stop spelling Colombia with a U.
Can’t always type in correct spelling, sometimes errors happens for everyone. No one does it on purpose. Colombia and Columbia it happens. Kindly cope with it. Spelling mistakes will happen again.